I'm not sure about the Rode as I've never owned one, but the Olmak is slightly softer than most other masks. I believe it's due to the gold plastic. Although, it should still be paintable so I have no idea. Nah, I could totally paint the Olmak and Rode. I'll throw them on the list. Ven, please stock up on the Vultraz mask for your next order. Thanks! Or I will die due to lack of sufficient ways to scavenge life force. I'll look into it for sure! I might have missed it, but is there any way I can send you the parts I want painted? Not that I don't want the parts you have, I just don't want duplicates. 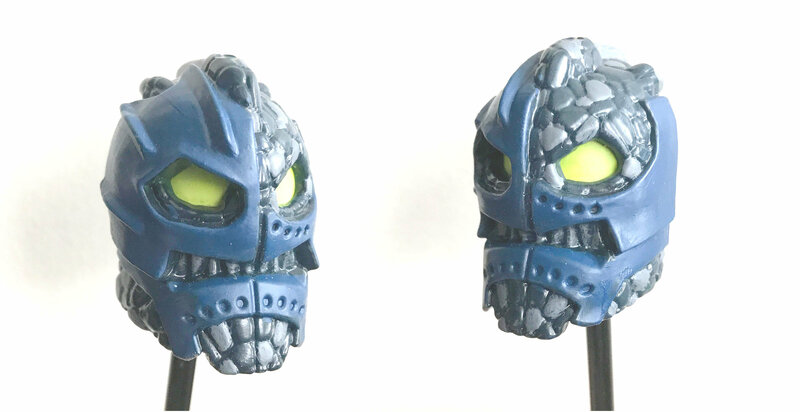 Also, I have included some requests in my next shipment, including Vultraz's mask, Mata Nui's Ignika, and the Cragger head for @ToaWaster704. Holy crap. Teach me Sensei Ven. I am your disciple. Will you be at Brickfair VA this year? If so, and I order a Miru recolor, could I give you a plain Miru at BFVA, skip the shipping cost, and get the $2 self supplied part discount? Don't ask how, or why it took so long to get this going. Gotta have a few secrets, right? Just out of curiosity, would this paint work for tohunga arms too? Since they are supposed to bend more than the inika masks would he paint crack? It really doesn't matter. If anything, call the 2001 guys Tohunga, the 2003 guys Matoran, and the 2008... things Av-Matoran. Except I did like Radiak's mask. I call the 01 matoran tohunga since that is what they were originally known as. Anyways the reason I asked is that I'm curious if I could get some different colored 01 matoran arms for say an accurate Tamaru. I could paint them, but I'm actually not sure about how it'll endure the bending on that part. Guess I'll have to leave it up to you, lol. I will be at brickfair, so that sounds fine! Since the arms aren't made of the same type of rubber as the 06 masks. The paint should work fine as long as you don't try to launch disks with them or handle them too much. That really depends on how much you'll be handling them, what kind of paint you'll be using, and how thick/glossy you want your paint to be. I know this guy did all the matoran, so it's definitely possible, but you might want to ask them since they probably know the most about arms specifically.